I saw these in Home Bargains and thought why not give it a shot. Cheap and affordable and I haven’t done nose strips in years. I think they were £1.99 but they are less than £2 for a pack for 6. Pretty sure you can find them in some pharmacies. 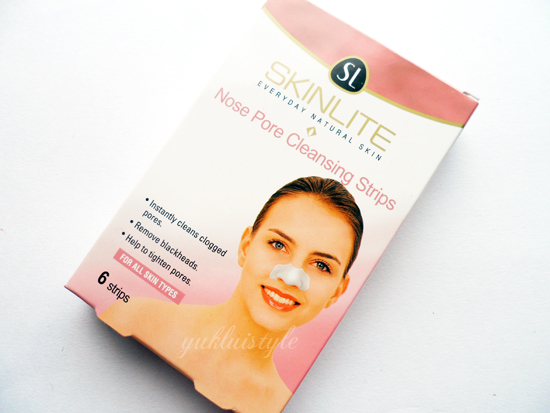 After some googling, Skinlite is a Korean brand and they have other products such as chin and forehead pore strips, masks etc. I did these with my sister too so you’ll have both of our views. 2 for the price of 1! I don’t have any deep blackheads but I do have more general ones dotting on my nose whereas my sister has some deep ones. The fit wasn’t bad. Didn’t smooth out 100% and the bottom round part didn’t stick to my nose. There was a strange scent to it which I disliked. After it had dried and hardened (took just over 10 minutes), it was peeling time. It did hurt a little bit while peeling but it was tolerable. There were dried parts of the strip still left on the nose but you can easily wash that off. Looking back on the peeling strip, I didn’t see any blackheads extracted whereas there was only 1 extracted on my sister’s strip. It did peel off some skin on the nose, especially the sides. Sister tried it again a week and a half later and she said that it had worked better this time round. More blackheads were extracted. Her nose does look a bit more clearer than previously. She would use it again. As with myself, I probably wouldn’t but I would most likely give it one more go. Have you tried Softymo's Nose Clean Pack ones? I've tried so many different brands of nose strips and they're my absolute favourite! You're so lucky you don't have to use them regularly! 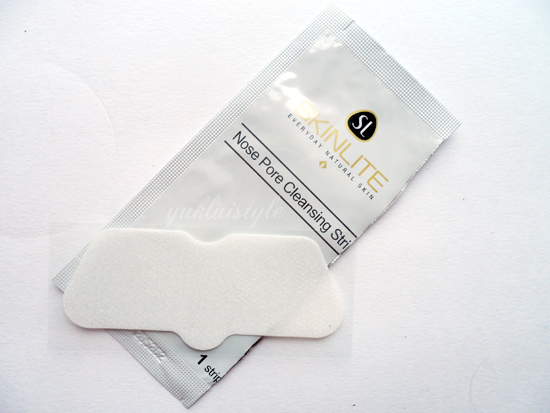 You should try the nose pore packs from Skinmiso! They're a Korean brand as well and my nose looked so amazingly clean when I first tried it. It was only a sample but it made me go wow.